This view is eastbound on US 58. Photo by Mapmikey, taken April 7, 2006. This view is westbound on US 58. The merge from the right is US 58 Business ending. This is now the only VA 279 posting at this end, in a conveniently shaped oval. Photo by Mapmikey, taken April 7, 2006. 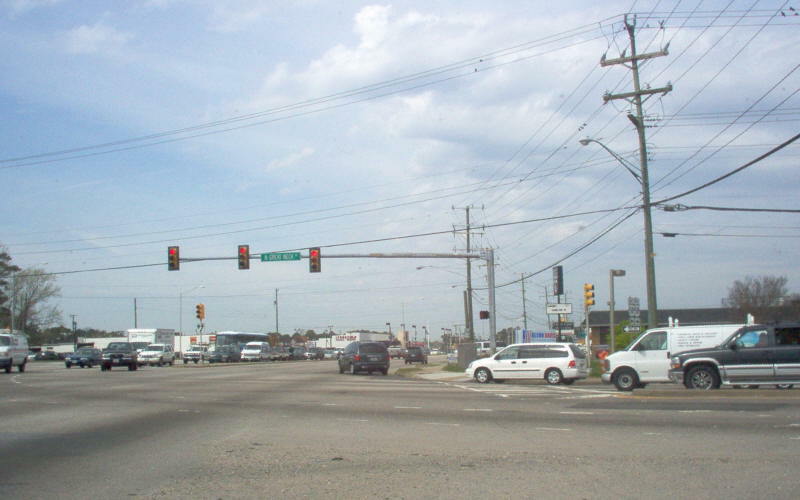 This view is westbound on US 58 at the actual VA 279 intersection. Photo by Mapmikey, taken April 7, 2006. 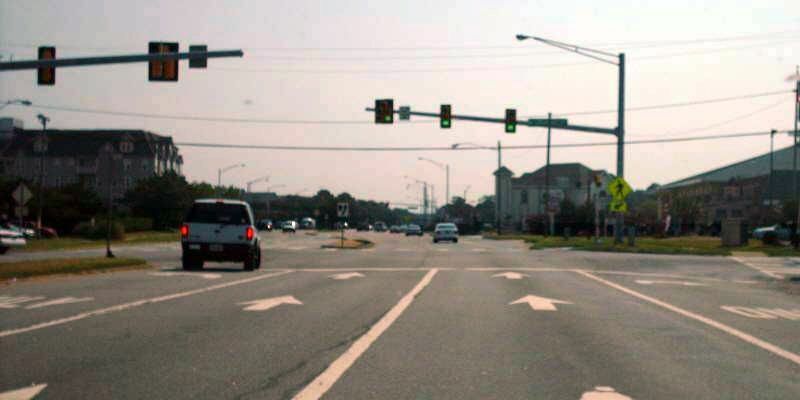 This view is beginning north on VA 279. When I lived near here in 1991 there was a 279 in a circle posted here. Photo by Mapmikey, taken April 7, 2006. This view is from VA 279 south ending at US 58. The bridge in the background is I-264. Photo by Mapmikey, taken April 7, 2006. 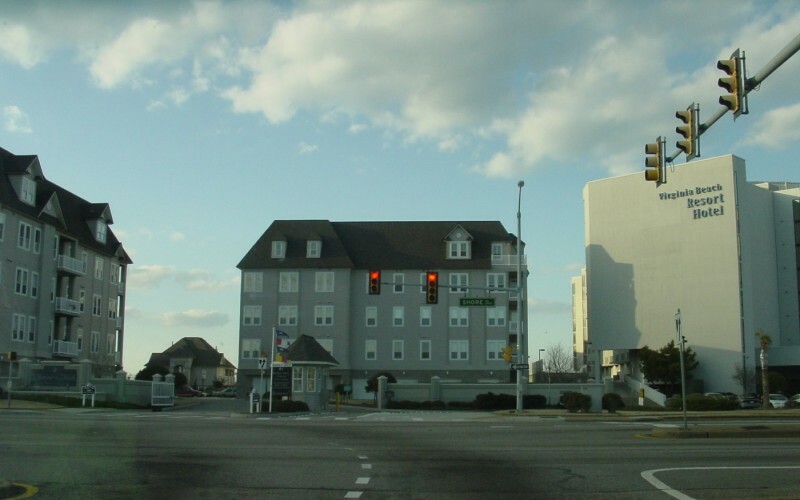 VA 279 is the semi-hidden designation for what is known as Great Neck Rd between US 58/Virginia Beach Blvd and US 60/Shore Dr in Virginia Beach. This view is eastbound on US 60. 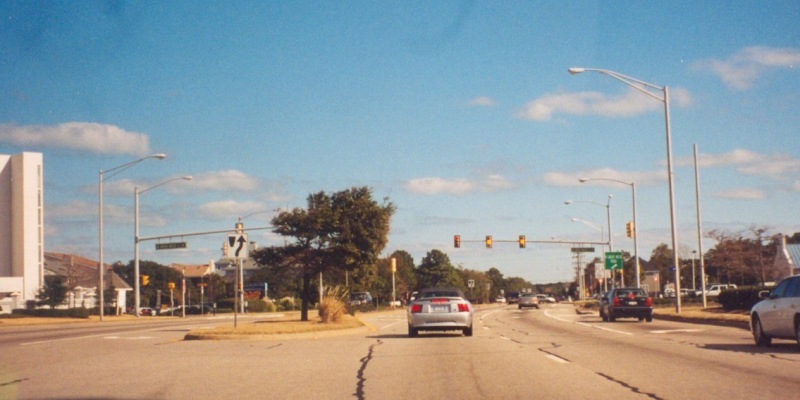 Photo by Adam Froehlig, taken February 2, 2002. Looking north from VA 279 itself, which has ended here since 1988. Photo by Adam Froehlig, taken February 24, 2003. US 60 east at VA 279 with a funky shield. Photo by Mapmikey, taken July 17, 2007. 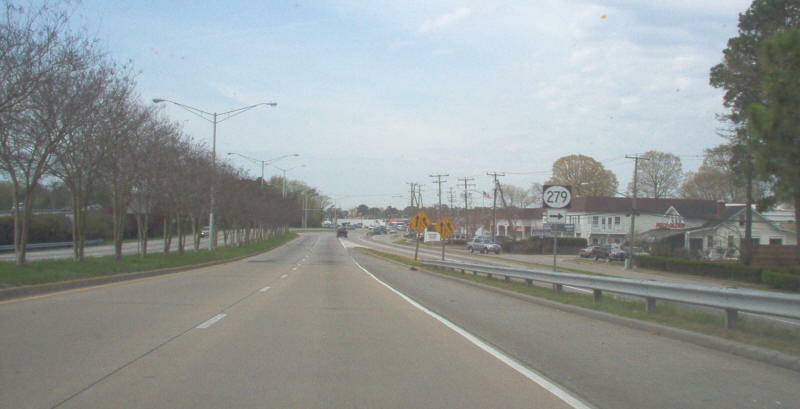 US 60 east at W. Great Neck Rd, which VA 279 used from 1981-88. There were circle 279 shields here until at least 1993. Photo by Mapmikey, taken July 17, 2007.